The variety of small to large, and five-pointed to nine-pointed stars can turn any wall into a wonderful starry night. 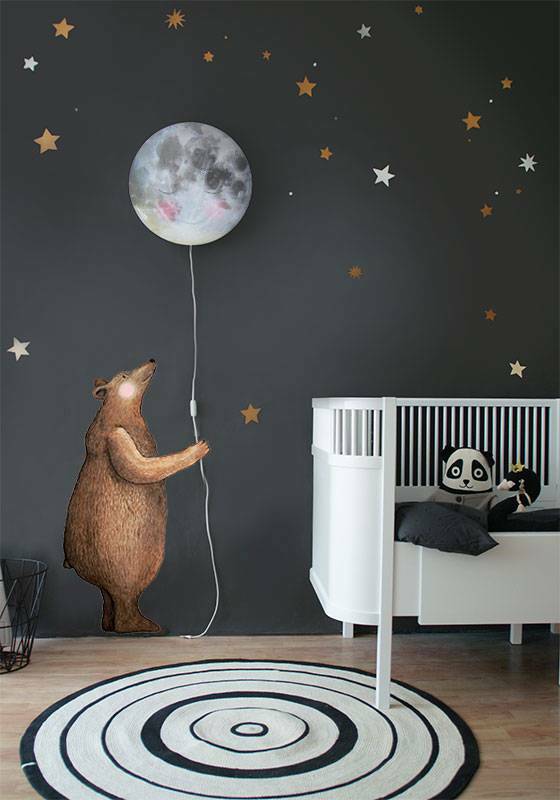 Whether on wall paper or on painted walls, these Starry Sky stickers apply smoothly and you can easily create your own universe. You can re- create the constellations or even make your very own! These copper metallic stickers have a matte copper shine and apply easily. Removing and replacing goes easy. 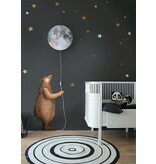 Every individual A4 sheet has 30 different Starry Sky stars and costs € 12,95 each. Our Starry sky stickers are available in: White, Silver, Copper, Midnight Blue and Glow in the Dark. This sweet smiling "Sleepy Moon' keeps her little secret well ! Behind her smile another world is hiding. Once you switch on the light when it gets dark a thousand stars appear! 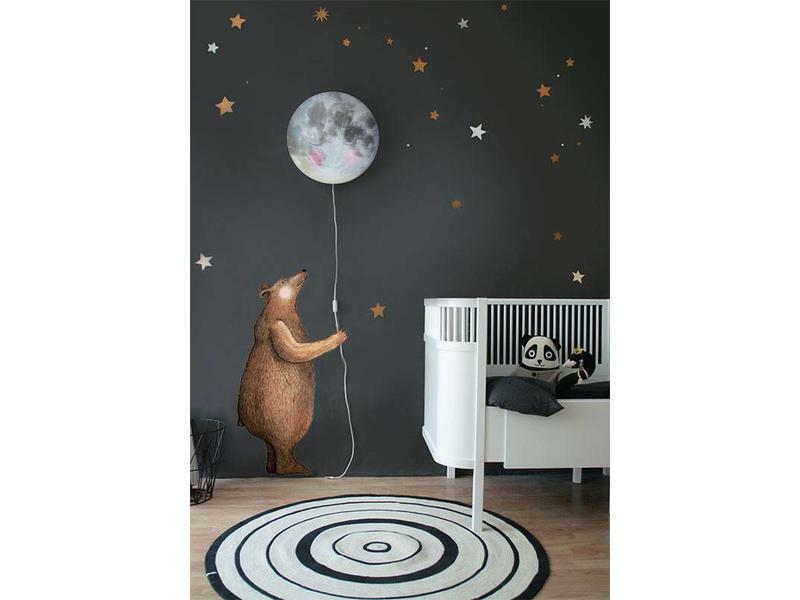 Our Bear wall sticker stays awake when you fall asleep at night....he will guard you!. high up above the moon shines..can you see her smile? 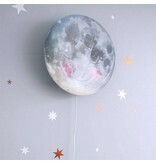 This wall decal is too cute to cuddle. 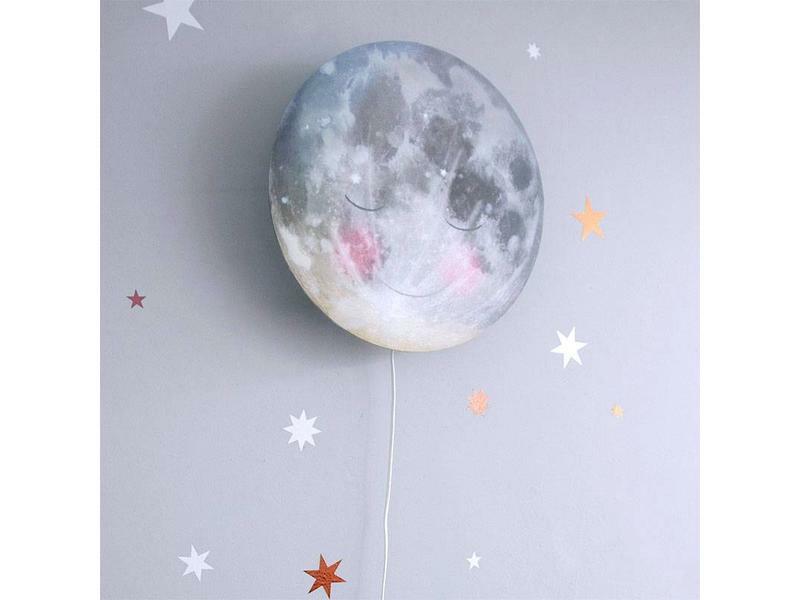 With our combination of white Starry Sky stickers in different shapes and sizes every wall becomes a dream sky. The variety of small to large, and five-pointed to nine-pointed white stars can turn any wall into a wonderful starry night.